Photos courtesy of Scot Hill Photography, not available for third party use. 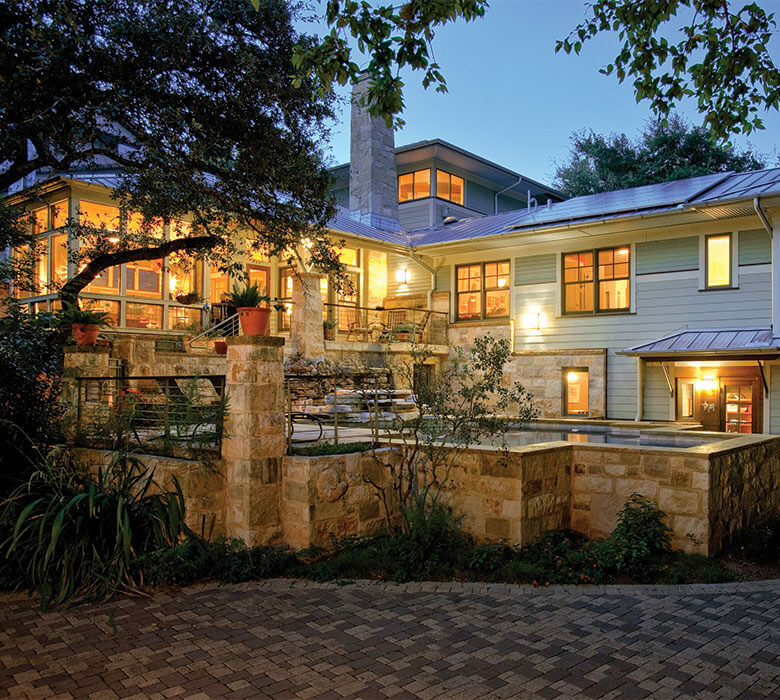 When architect Peter Pfeiffer, FAIA set out to build his family’s custom home in Austin, Texas, he hoped to demonstrate that a green home with impressive energy efficient features could fit seamlessly into any modern lifestyle and a traditional neighborhood while still providing a functional home for his family. The ability to create custom configurations of Kolbe's Heritage Series windows, including fitting windows into small spaces and placing high windows on the upper level, created critical cross ventilation. 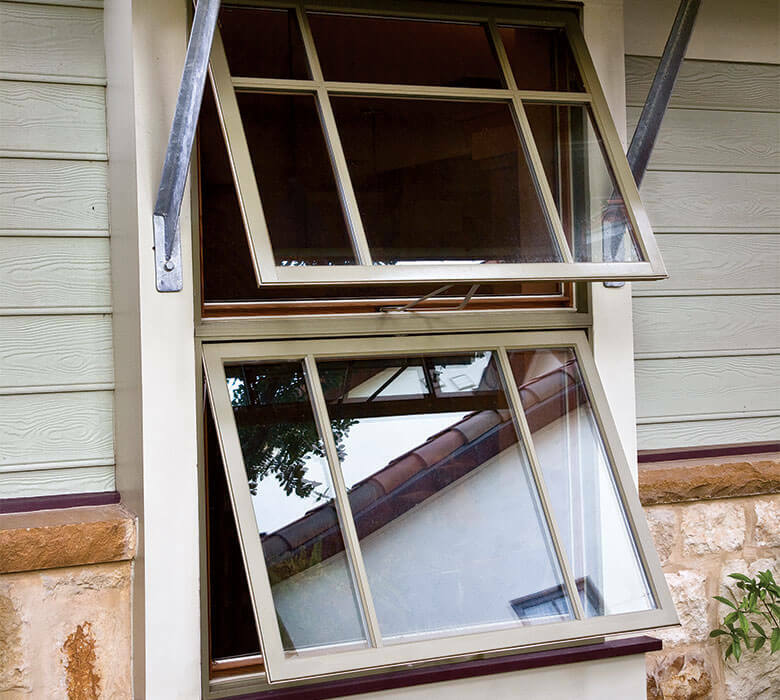 We love the double hung windows, because they do such a great job of venting. The awning windows can even be open in a rainstorm, enabling us to enjoy the cool, scented breezes. ID: E600 | Photo courtesy of Scot Hill Photography, not available for third party use. ID: E601 | Photo courtesy of Scot Hill Photography, not available for third party use. ID: E602 | Photo courtesy of Scot Hill Photography, not available for third party use. I designed my own home to push the boundaries of energy efficiency, and Kolbe helped me achieve this goal. 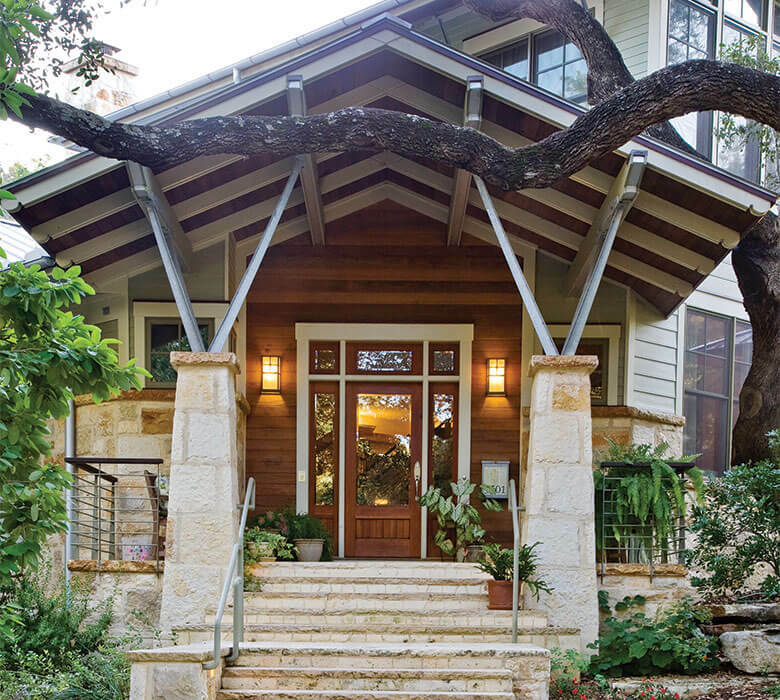 Their solidly-constructed windows and doors help to continually minimize energy costs in my warm climate, while handcrafted details accentuate the unique Craftsman style with a modern twist. Find your local showroom and be inspired.